Anton Yelchin's parents have made a documentary about their late son, which will premiere at the Sundance Film Festival later this month. Yelchin passed away in a freak accident after his car rolled down his driveway and pinned him against his mailbox in 2016. The entertainment industry and fans mourned, but nobody mourned as much as his parents, who lost their only son. In a new interview, Irina Yelchin reveals that she and her husband almost felt like giving up until Jon Voight gave them the idea to make Love, Antosha, a documentary about his life. The parents of Anton Yelchin remember telling Jon Voight, who starred alongside Yelchin in 2015's Court of Conscience, that they thought their lives were over after the death of Anton. But Voight gave them the idea to make Love, Antosha as a way for healing and a way to keep the young actor's memory alive. Once the idea was put in place, Irina Yelchin admits that she still had conflicting feelings. She explains. "Maybe it was a selfish reason, because Anton, we just didn't want to let him go. He was gone, but everyone talked about him, and his movies were coming out still. Everyone was saying how brilliant and talented and smart and kind and tenderhearted he was. Maybe because of that. Maybe because he never left, truly." Once the seeds for Love, Antosha were planted, the family reached out to J.J. Abrams to get an idea of how to go about making the documentary. Abrams, who worked with Anton Yelchin on 2009's Star Trek and 2013's Into Darkness, suggested that they find one of Anton's friends to put the movie together, someone that knew him well. They then contacted Like Crazy director and close friend Drake Doremus, but he felt that he wouldn't be able to pull off a proper job, so he suggested his friend and filmmaker Garret Price. Garret Price made Love, Antosha and he believes that he was able to make it objective since he did not know Anton Yelchin personally. He was able to go through hours of home video and behind-the-scenes footage to craft a narrative that revolves around the two things that the young actor loved the most: his family and acting. Most of all, Irina Yelchin serves as the anchor of the movie, according to Price. Love, Antosha has made it to the top of must-see lists for Sundance this year, which is the place where one of Anton Yelchin's last movies, Thoroughbreds, premiered posthumously. J.J. Abrams, John Cho, Martin Landau, Jennifer Lawrence, Jodie Foster, and Chris Pine are some of the people that are featured in the documentary, but there are many more friends, family members, and co-workers who speak about the talented young actor. 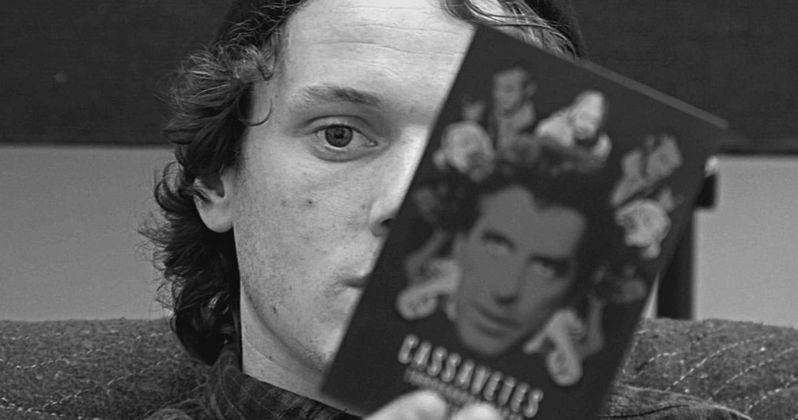 You can see some footage from Love, Antosha below, along with an interview with Garret Price. The interview with Yelchin's parents can be read in full over at The Los Angeles Times.